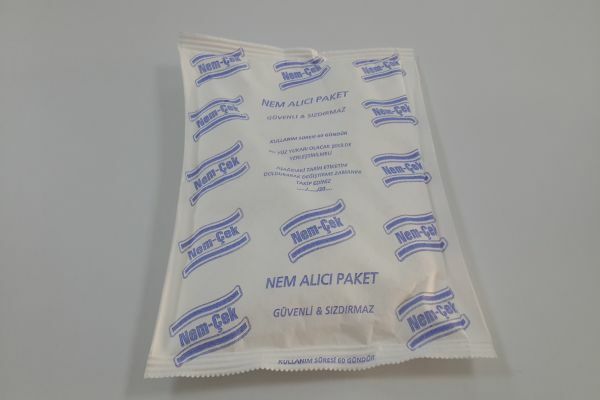 NEM-ÇEK desiccant packages are specially designed to prevent mould and stench caused by excessive humidity in closed areas such as drawers, cabinets, sofa beds and bed bases. Due to its special package, it draws the water vapour from its front surface and accumulates it in the lower chamber by liquifying with its special content. By virtue of its compact design, it can be used practically in areas where there are no hangers such as drawers, sofa bed and bed bases. Liquefies the humidity in the air for 60 days and dries the used area. For any kind of technical information and price request, please contact us.